Gil pioneered the use of 440c as blade steel that he forged from round stock before he was able to get a manufacturer to make him flat stock and was the first to have a successful mirror polish on knife blades. He was one of the first in the knife industry to have a successful licensing agreement with United Cutlery who continues to produce affordable replicas of his designs since 1988. 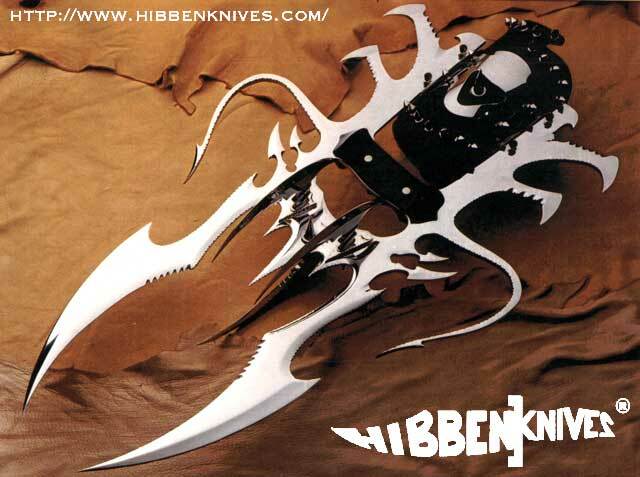 Whether you have been attracted to Hibben Knives because of his original designs, his collaboration fantasy pieces with Artist Paul Ehlers, his many custom knives used on screen in Rambo III & IV or the blockbuster franchise The Expendables or because of his distinguished position as the Official Armourer of the Klingon Empire for the Star Trek franchise, Gil Hibben has created and carried trends and has had an instrumental and undeniable effect of the knife industry as it is today. We encourage you to explore Gil’s world and, if you’re so inclined, claim a ‘heirloom’ for your own family.